Let's cast aside the fact that the Bible is clear that the Sabbath was only for Israel to keep as a sign of the Old Covenant between them and God for the moment. A common question that comes up is Just how do you keep the Sabbath properly? For that we have to go back to what God told Israel. No one including non-Christians are to buy or sell do any industrial activity on the Sabbath. Notice that this applies to everyone in their land. It even includes people serving them. The Sabbath keeper can not even allow a stranger or non-believer to work for them, so that they wouldn't break the Sabbath. Do Sabbath keepers do this? No they only limit it to their fellow Sabbath keepers. However the Bible is clear that they are to require this adherance from even non-believers. Nehemiah shows that they were required to enforce this Sabbath keeping even among the pagans within their city. This has very broad ramifications. No fire means a whole host of things. 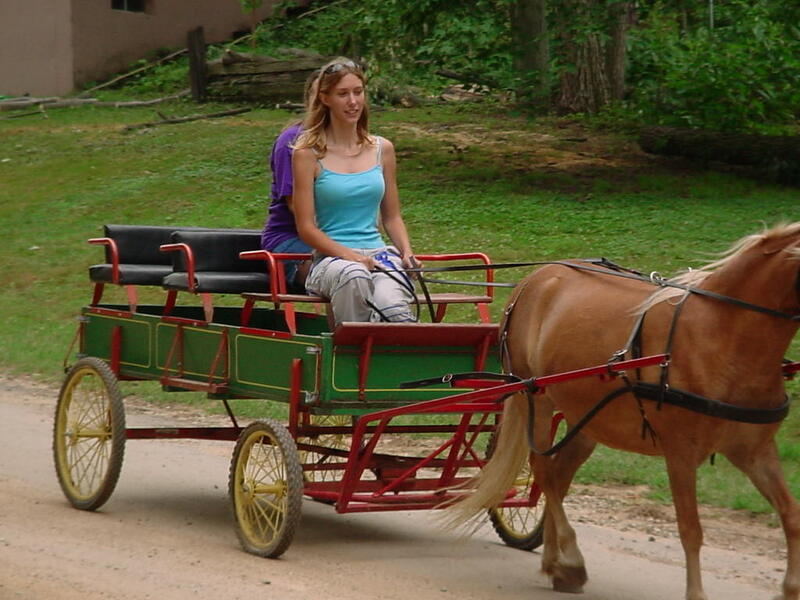 No Travel using any combustion engine. No using electricity that was generated by combustion. This clearly means you can not leave the place you ended up at Friday sun down. Ignoring the absurd, where ever abode you ended up at you'd have to stay there. Unfortunately this includes traveling even to your local synagogue or church. So Sabbath keepers break their Sabbath by going to church. Also horse and carriage and even travel by foot is prohibited. If a Sabbath keeper admits that he went to church on sabbath, he broke the sabbath already by traveling. If a Sabbath keeper used anything employing combustion on sabbath, including gas cars and electricity if they are generated by combustion, they broke the sabbath. If they did any work and didn't prevent non-believers from working, they have broken the sabbath. Chances are these Sabbath keepers have broken not just one or two of these but all three of these requirements of God concerning the 7th day Sabbath. The sentence from God is death. This is the folly of Sabbath keeping. The punishment for breaking the Sabbath is simple and quick death. 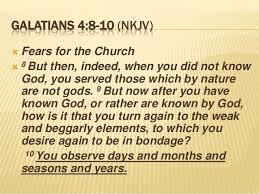 With that known, is anyone still insistent upon trying to keep the Sabbath, especially since God made it clear it was only for Old Testament Israel to keep? 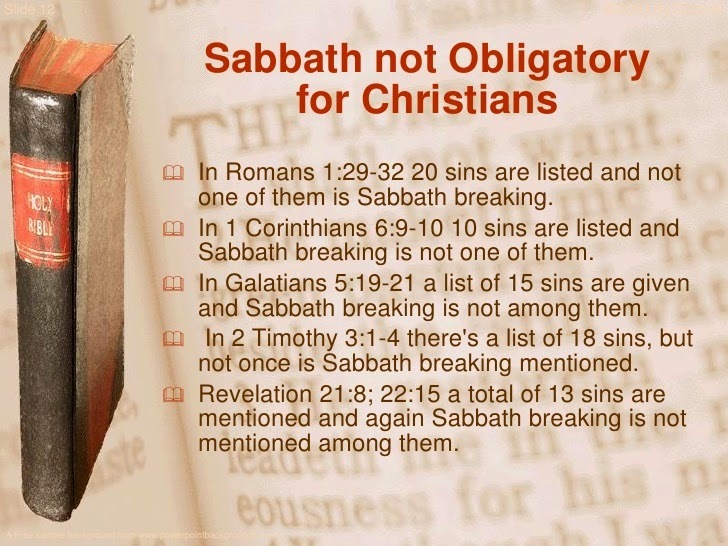 Sabbath keeping is among the 10 commandments and is referred to as the law of Moses. After all it was given to Moses by God on Mount Sinai. And by him(Jesus) ALL THAT BELIEVE are justified FROME ALL THINGS, from which ye COULD NOT be justified by the law of Moses. Clearly even if one could keep the Sabbath and the other 9 commandments perfectly, the Bible has already concludes that it would not justify any of us. In essence the 10 commandments as a whole shows to all men that we are sinful and really need the divine (100% God) Jesus spoken of in the Bible, who came to pay the penalty for ALL sins (past, present, and future). Only Jesus being 100% God was able to keep the entire law 100% of the time in Deeds, Thoughts, Motives, and Intents. He then willing took on the sins of the world and died to pay the penalty for them, so that whoever believes in Him might be made right with God and have eternal life in Heaven. This is the gospel of the Bible unto salvation. Not the gospel of works preached by Sabbath keepers that can not be kept. If you would like to put your faith in this divine Jesus of the Bible, pray and believe upon Him and you will be saved.